Dental visits aren't just for cavities and teeth cleaning anymore. During a check-up, your dental hygienist and dentist assess the overall health of your mouth and gums. A dentist check-up is an essential part of preventive care. Here are five ways to get more out of your next visit to the dentist. Bleeding when you brush. Bleeding is a common symptom of gum disease. The earlier the disease is caught, the easier it is to treat. Pain or sensitivity. Tooth pain or unusual sensitivity when biting down or eating hot or cold foods can be a sign of a cracked teeth, broken fillings, or cavities. Sores inside your mouth that don't heal normally. Sores that don't heal may be an early warning sign of oral cancer. Early detection is crucial to find oral cancer when it’s more easily treated. Problems with flossing or brushing. A jagged tooth or broken filling can make it difficult to floss. Arthritis or other medical conditions may make it hard to brush. Your dental team can help find the source of the problem and offer solutions. Clenching your jaw or grinding your teeth. Many people clench their jaws or grind their teeth, especially at night. Over time, grinding and clenching can wear teeth down, damaging the enamel and making teeth more susceptible to decay. Talk to your dentist if you think you grind your teeth. 2. Update Your Medical History. Make sure your dentist and dental hygienist know your complete medical history. Common conditions like diabetes can affect the health of your gums and teeth. Some medical problems can lead to dry mouth, which increases your risk of cavities. Alert your doctor to any changes in your health since your previous visit. The more your dentist knows about your overall health, the better able he or she will be to give you personalized care. Certain prescription drugs for allergies, high blood pressure, or depression can cause dry mouth, which increases the risk of tooth decay and gum problems. Some medications and dietary supplements can thin your blood, increasing the risk of bleeding when you have dental work done. It's very important for your dental team to know about all the pills you take, including supplements that you may not think of as serious medicine. 4. If Money Is Tight, Ask About Low-Cost Options. When household budgets are strained, some people put off dental visits. That can lead to problems that are far more expensive than preventive care. If you are having trouble paying for dental care, talk to your dentist about low-cost options or extended payment plans. 5. Find Out What You Can Do Better. 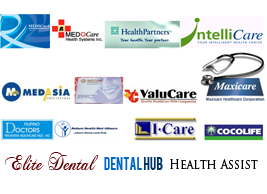 The field of dental health is constantly changing. New products continue to come along that make oral hygiene easier and more effective. New research provides insights into the best ways to keep teeth and gums healthy. Ask your dentist about anything you should be doing to improve your oral health. I did a search on the subject and found nearly all persons will go along with with your blog. I would likewise rouse pretty much every individual to spare this site page for any most loved help to help posted the appearance. Great post . This article is really very interesting and effective. I think its must be helpful and informative for us. Thanks for sharing your nice post. A cosmetic dentist is a person who specializes in the field of dentistry that is focused on the different dental procedures that will enhance the look of your face. If you need to fix your broken or stained teeth, you can consult a dentist who will help you with the problems https://sunsetdentalcancun.com/.